Sports and exercise have never been more popular in the United States than right now. And with more and more people learning the health benefits of an active lifestyle, the physical fitness industry has been growing for years (and not just around New Year’s…). However, the sports and fitness industry can oftentimes involve a lot of overhead for owners, operators, or even schools. If you are running your own fitness center, you obviously love to see more people coming through the doors day in and day out, but how are you going to ensure every person receives a consistent experience or workout? Heavy traffic on certain areas could lead to unhappy customers, and unhappy customers tend to find new places to do business. The problem is, moving to a new facility can take a lot of time and can cause your overhead costs to soar! However, this is not just a problem for gyms; sports complexes and stadiums oftentimes need to add more space for seating, press boxes, or even a practice facility. It may be obvious that your complex or facility needs to expand, but starting from scratch can be a huge risk and can take ages to get approved, designed, and constructed. So how can you make the most of the space that you currently have, in cost and time effective manner, and see a genuine return on investment? In the case of a fitness or health club, there are lots of ways to take advantage of even a limited amount of space in your facility. You can utilize the space above your gym floor by installing an intermediate mezzanine floor. Looking back at our previous example, if your facility has seen a growing number of customers and your machines are constantly busy, a structural steel mezzanine can allow you to practically double the space for equipment. Whether you wanted to add in an extra line of treadmills or even store extra sets of dumbbells and plates for heavy lifting, our structural steel mezzanines will be able to hold anything you need. We can design our mezzanine systems to have high enough pounds per square foot to handle practically anything you can throw at it. Want to add an aerobics or spin class to your club’s repertoire? A mezzanine floor would provide you with the perfect open area, and you would have a wonderful view over the rest of the facility. Or, if you have a rather large fitness center, our mezzanine systems can be utilized as a running track above the rest of the gym floor. This will appeal highly to those runners who do not like to use treadmills but still would like to enjoy heating and air. In this scenario, the space underneath the mezzanine could be used for workout equipment, an office, or storage. Plus, since the mezzanine is made out of durable steel, it will take the wear and tear of people running on it nonstop. Of course, health clubs are not the only areas of the fitness world that have to find unique solutions for creating space. For sports teams, especially ones with new fields or facilities, they often need to provide an area for reporters, coaches, and scouts to watch the game, oftentimes called a press box. This is a controlled, enclosed area, away from the noise of the crowd that allows the people inside to focus solely on the game. 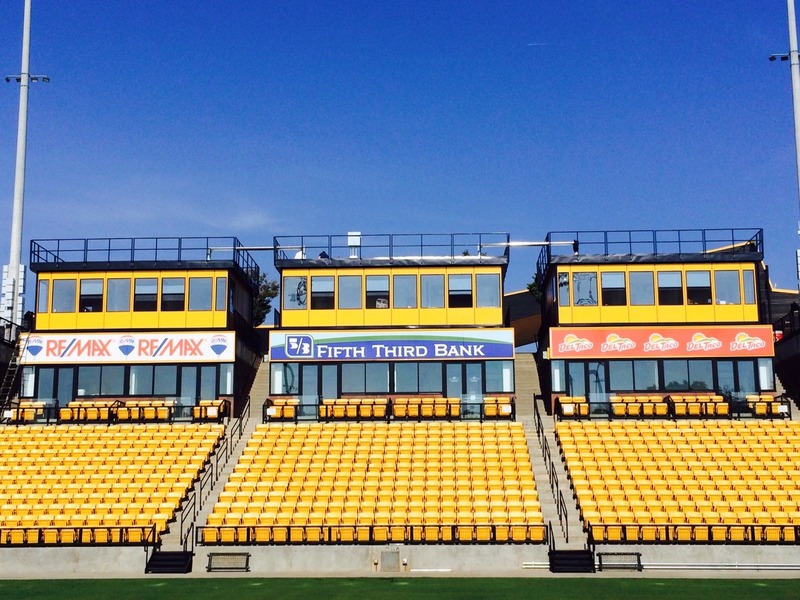 What benefits would a prefabricated press box bring? For smaller programs that are growing, a prefabricated press box can be a fantastic, affordable temporary solution. It can even make a great permanent solution, because the structures are innately durable and can be designed to blend in with any preexisting architecture. While the players and fans will be weathering the weather on their own, all people within the press box will be in perfect comfort thanks to our insulation, heating, and air conditioning systems. Whether you need a giant box for a college football field or something smaller for a high school baseball team, a prefabricated press box will provide you with the perfect atmosphere and view for the game. Finally, prefabricated buildings can help your sports team as a whole, because our exterior structures make the perfect compliment to your sporting complex. They can be used as a convenient concession stand that can be moved to different locations throughout the park. Or you can stick the prefabricated building out in front of your stadium or complex, put a sliding window on it, and you have the perfect ticket booth for your new field. A prefabricated ticket booth provides you with a mobile solution to collect ticket revenue, and, like the concession stand, you will be able to move the booth around the complex, via forklift, where ever is most convenient or efficient for your facility. 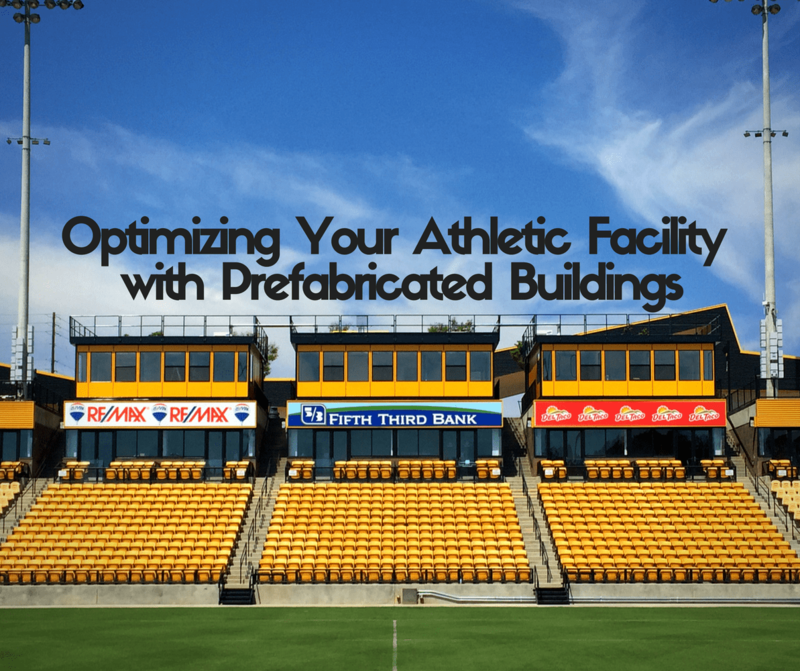 Ultimately, if your sports complex or venue has seen an uptick in attendance and customers, prefabricated buildings can play a vital role in providing added customer service, and because you will now be able to serve more customers more efficiently, you will be able to see an obvious return on investment on your prefab building. Overall, the flexibility of prefabricated buildings allows them to have many different uses in the fitness and sports worlds. They can complement practically any facility with their ability to seamlessly blend into any preexisting structures. Besides their versatility, they provide an affordable, efficient, and dependable solution to many different potential space needs a sports complex could incur. Need to make the most of your limited space? 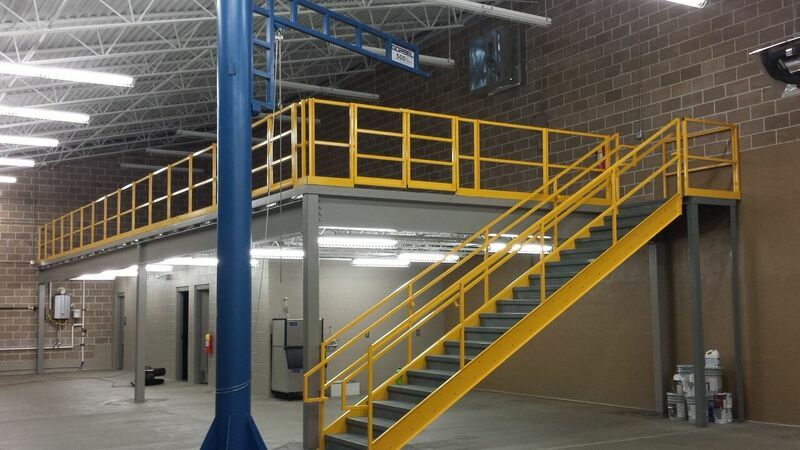 Mezzanines can almost double the usable space in a facility. Need to provide a quick and comfortable viewing area for your football field? An exterior building on a mezzanine provides a satisfying, controlled environment, raised above the playing field. With prefabricated structures, you will get all of these benefits plus the added bonus of a quick installation and an overall very short lead time, in comparison to stick-built. At Panel Built, we believe in Vince Lombardi’s old quote that “Practice doesn’t make perfect. Perfect practice makes perfect.” We strive to prove our dedication to every project we work on through excellence in craftsmanship, service, and attention to detail. So, if you think that prefabrication could help your facility, contact our sales team or request a free quote, and we will go for gold together! The sports and fitness industry can oftentimes involve a lot of overhead for owners, operators, or even schools. If you are running your own fitness center, you love to see more people coming through the doors day in and day out, but how are you going to ensure every person receives a consistent experience or workout?